Balenciaga. And they were trending on Twitter yesterday and almost sold out now. What other outfit could be the Outfit of the Week? Did you read The New York Times profile on Meredith Koop last month? 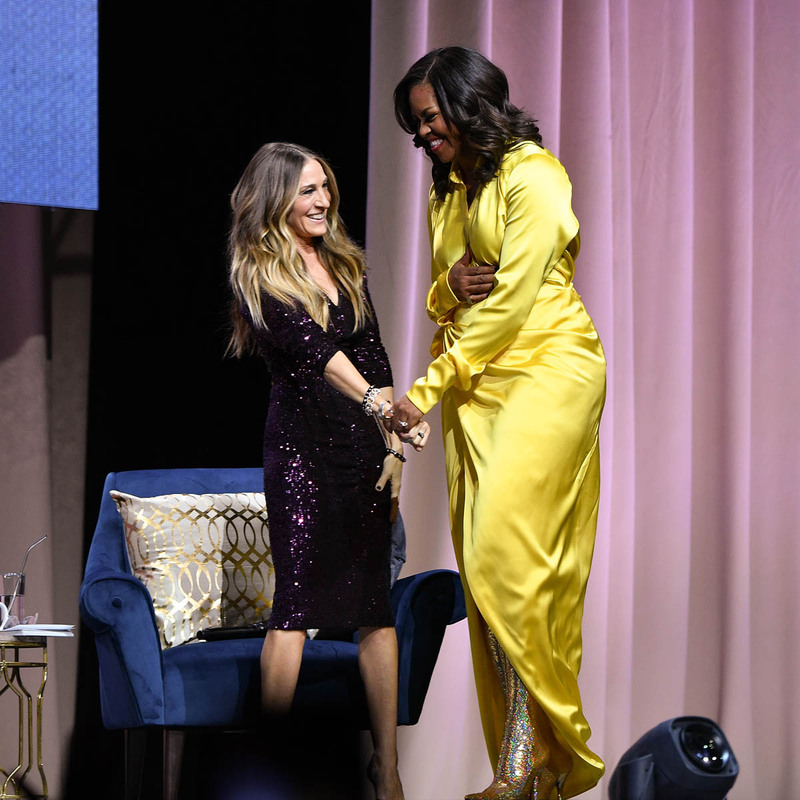 Meredith has been styling Mrs Obama since the second year of the Obama administration. 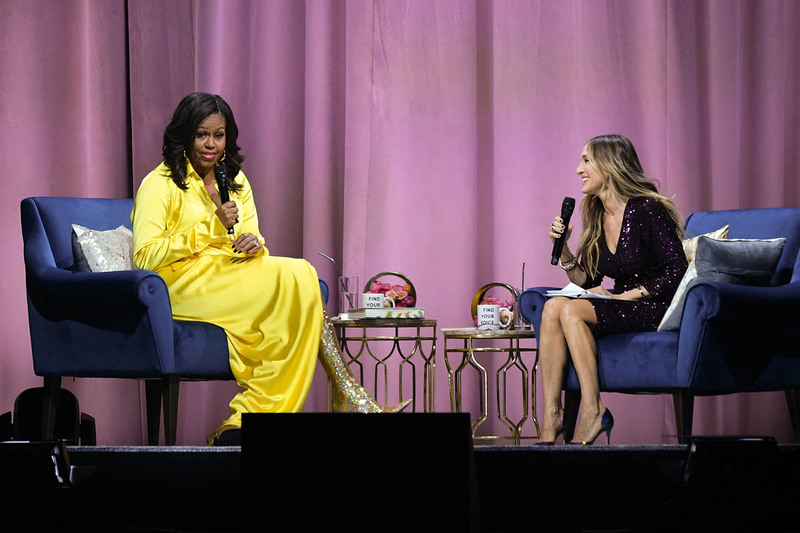 She was with Mrs Obama on Wednesday night for the event at Barclay’s moderated by Sarah Jessica Parker. 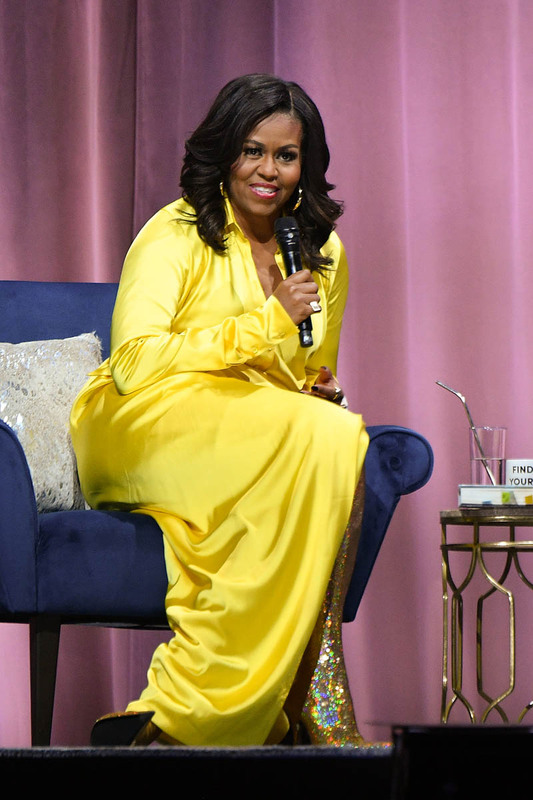 Mrs Obama actually namechecks her during their discussion about fashion. 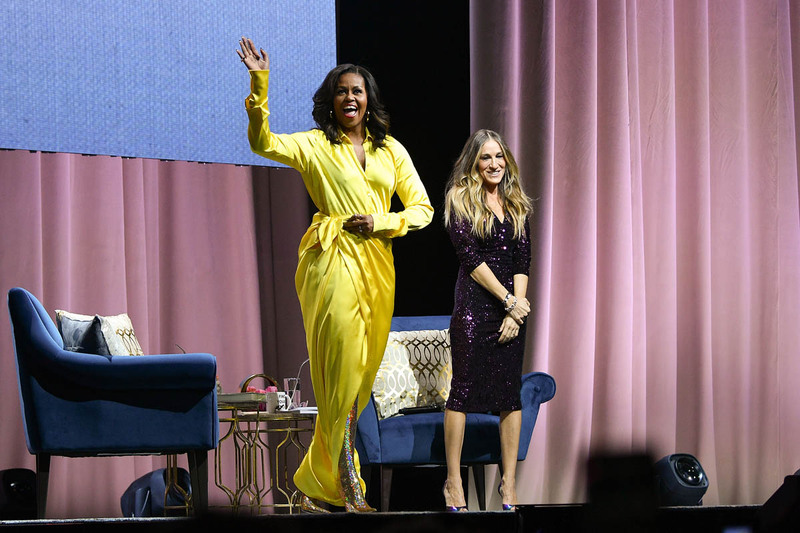 The former First Lady talked about clothes? 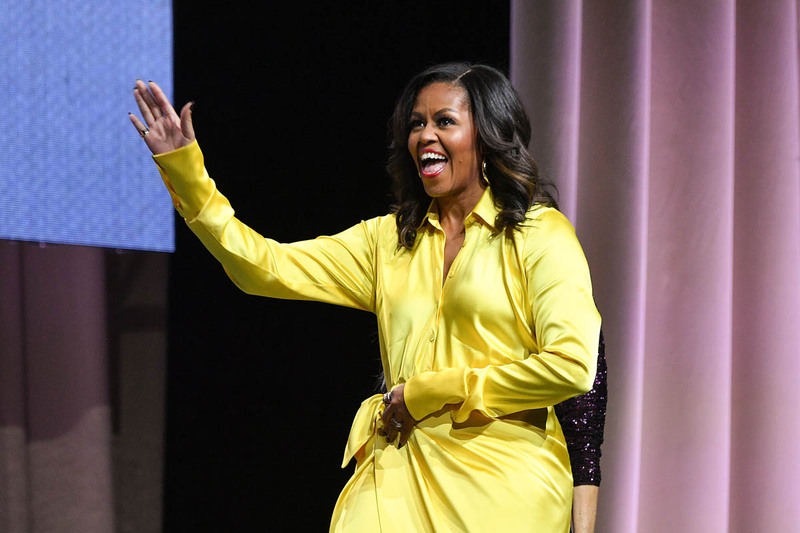 Michelle Obama didn’t “pop off” and get offended when asked about clothes. Now who do you suppose I want to send this to? “You have to anticipate every avenue of attack and every possible outcome,” Ms. Koop said, remembering. Everyone has an opinion: This dress is too informal; that is too frilly; this is expensive; that is too conceptual. 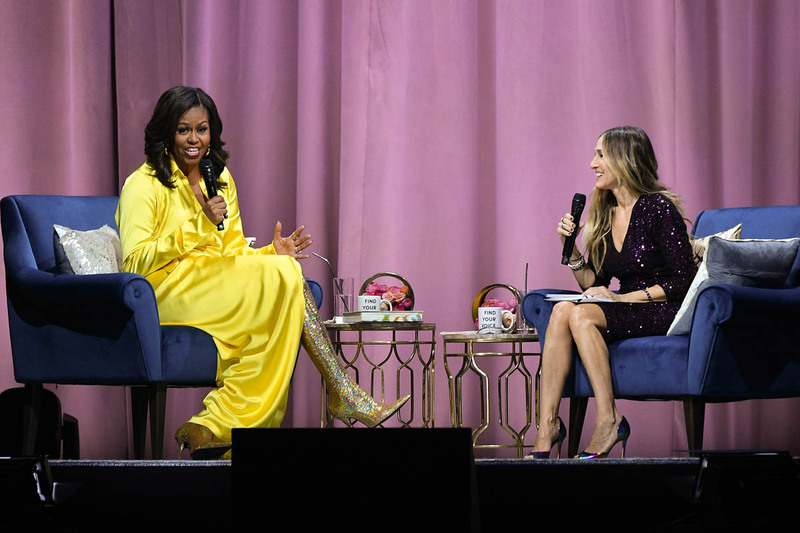 “You have to celebrate fashion but also be aware of the message people are going to take away,” she said. “Fashion can bolster communications in the best-case scenario, or be a silent partner, or actually distract.” Every outfit involved gaming out every possible reaction, good or bad, that she could imagine. She would go along to meetings with policy experts and the foreign relations team. 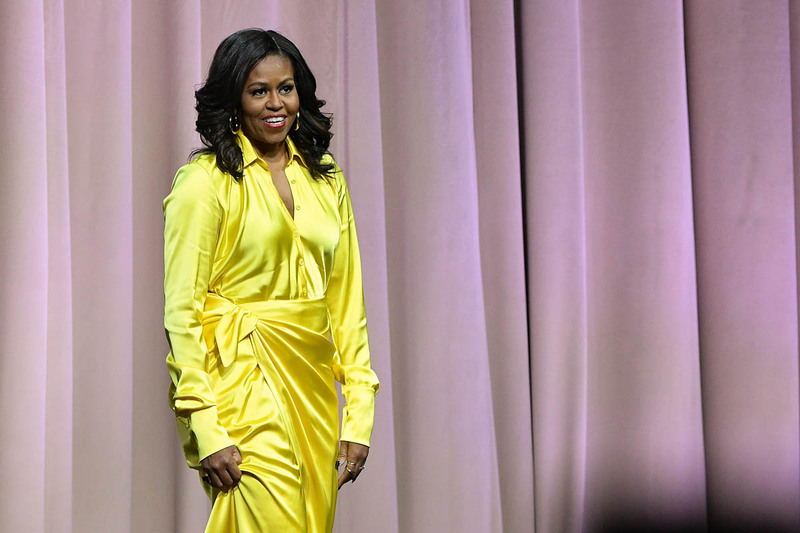 She would research the countries where the first lady was traveling, target a look and finally show the first lady. 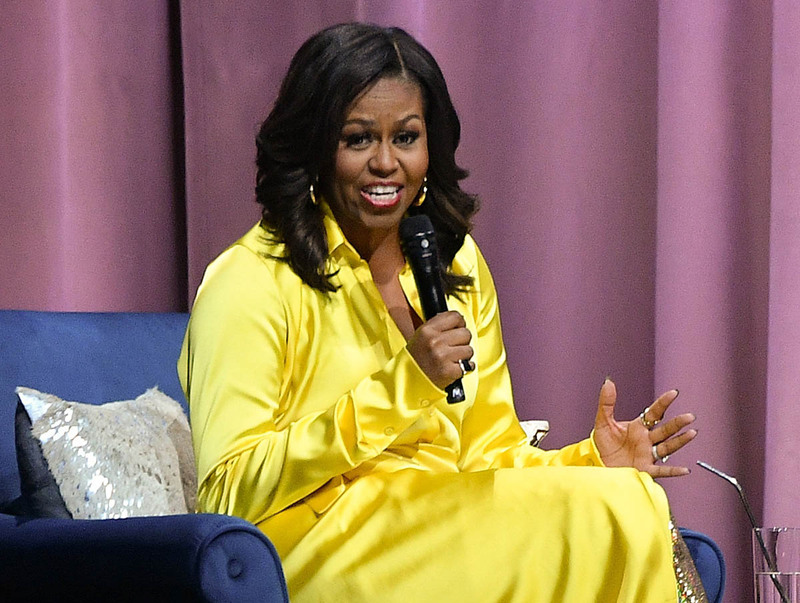 She is thinking a mix of designers, including names Mrs. Obama has not worn before (just to make that umbrella even more inclusive), but she’s not thinking dresses because they have too many associations with Mrs. Obama’s time as first lady. 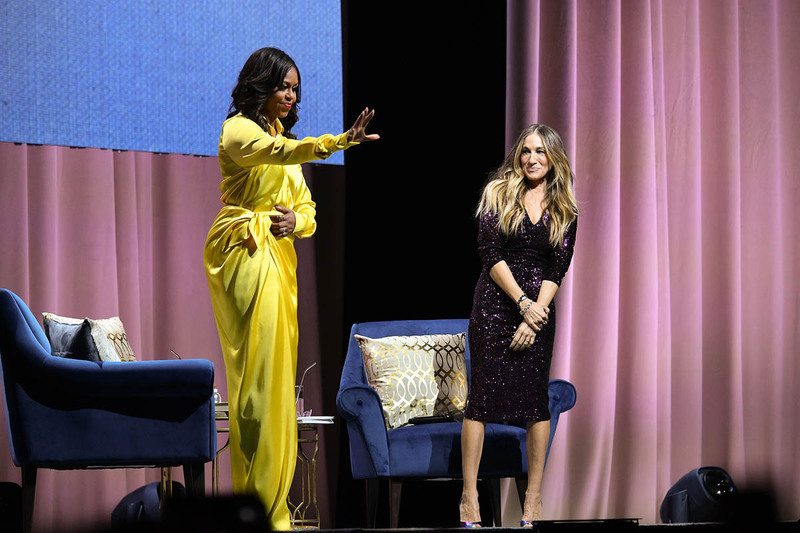 And because they make her think of the word “relic” more than the words “powerful” and “chic,” which are those she thinks Mrs. Obama should be going with. Wednesday night was definitely not pants. 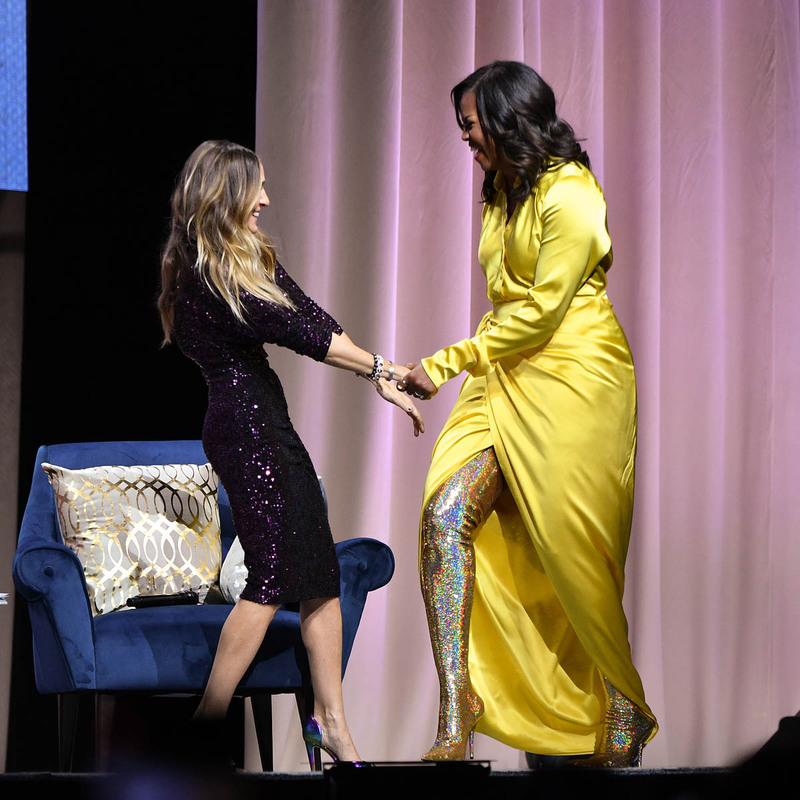 The whole point on Wednesday night’s outfit was the boots, boots that Mrs Obama would never have worn as First Lady. But as she said, “Fashion does have meaning”. And the meaning now? Right. Because clothes can be an expression, an extension of what you are trying to communicate. It’s OK to care about clothes, to ask about clothes, to talk about clothes. Also? Clothes are fun. 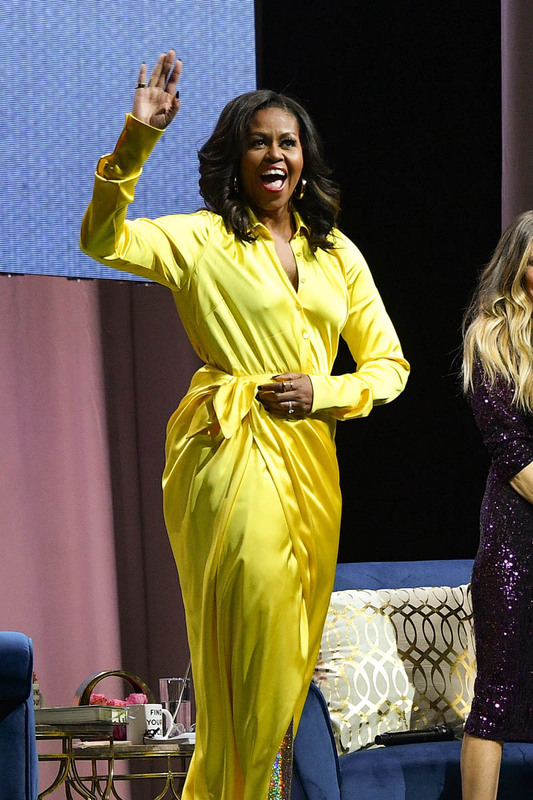 Michelle Obama is clearly having fun with her clothes. 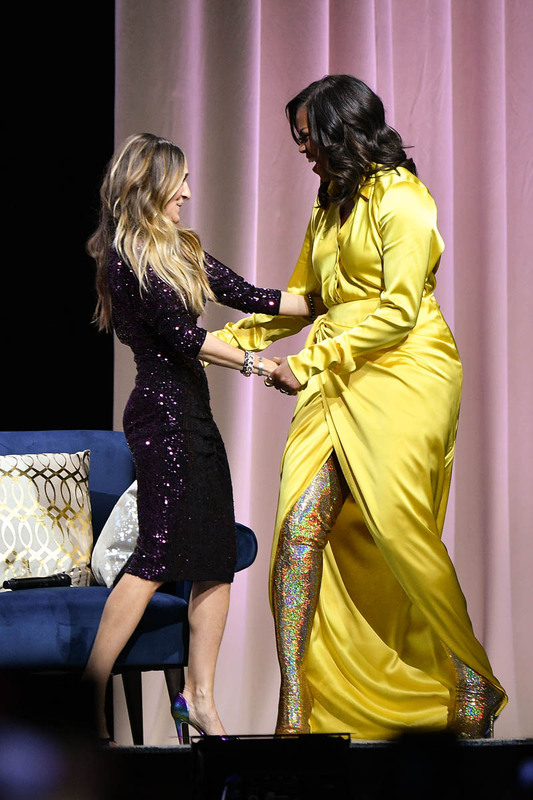 The only popping off that’s happening here is everyone else, losing their minds over how she looks in her clothes.